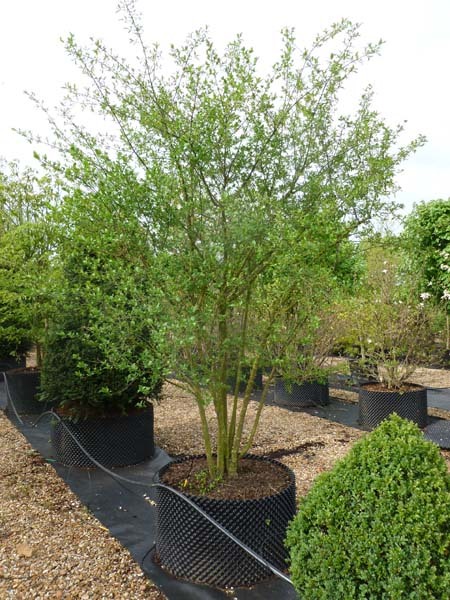 Euonymus europaeus is a twiggy upright spreading deciduous shrub native to Europe with narrowly ovate leaves which are dark green in summer turning yellow-green to reddish-purple in autumn. 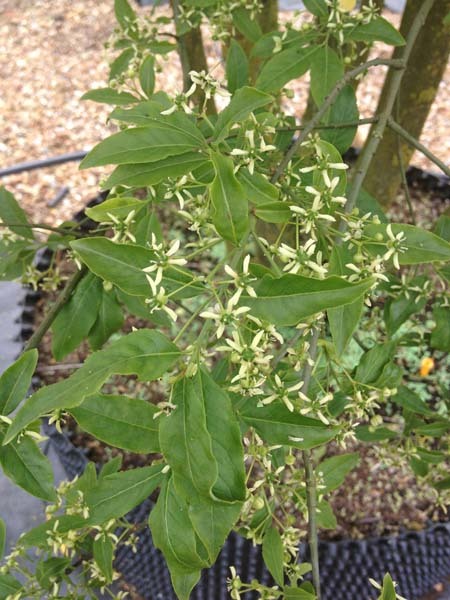 In late spring it produces panicles of small yellow flowers which are nectar rich attracting pollinating insects, followed in Autumn by 4-lobed red/purple/pink fruits of around 1-1.5cm wide which split when ripe to reveal orange seeds. 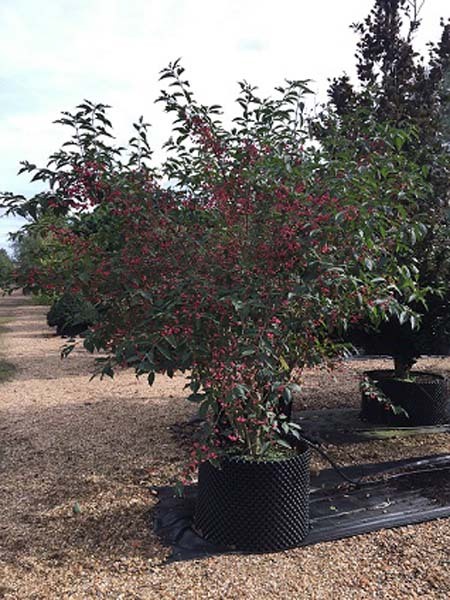 The Euonymus europaeus is popular both as an ornamental plant or country hedging in gardens and parks due to its bright fruits and attractive autumn colouring. 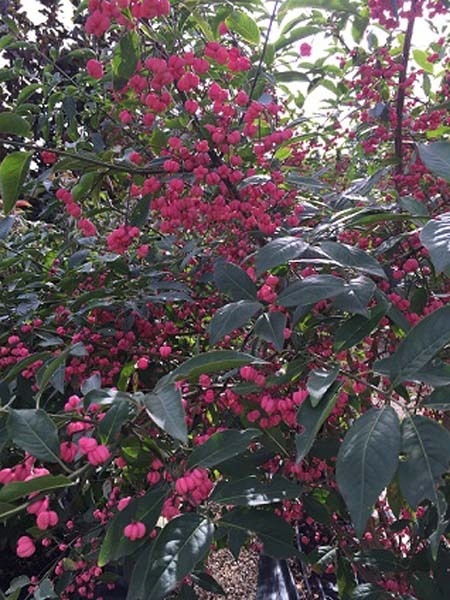 Both the leaves and the fruits are harmful if eaten. 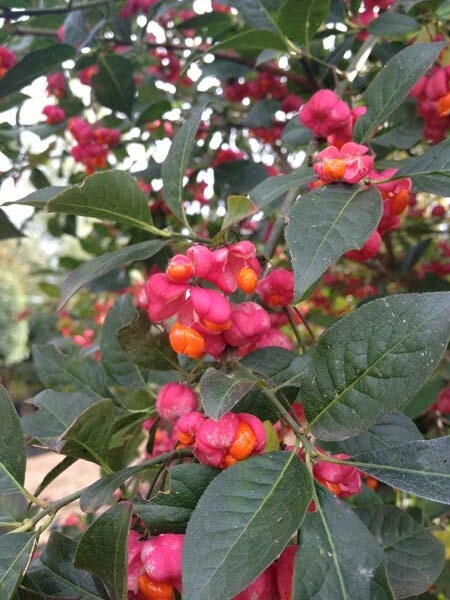 FACT: The wood of the spindle tree is very hard and can be cut to a sharp point.